After our long train trip on the Northern Explorer, an excellent dinner on Friday evening, and a good night’s sleep we had a few hours to spend in Auckland before flying home. 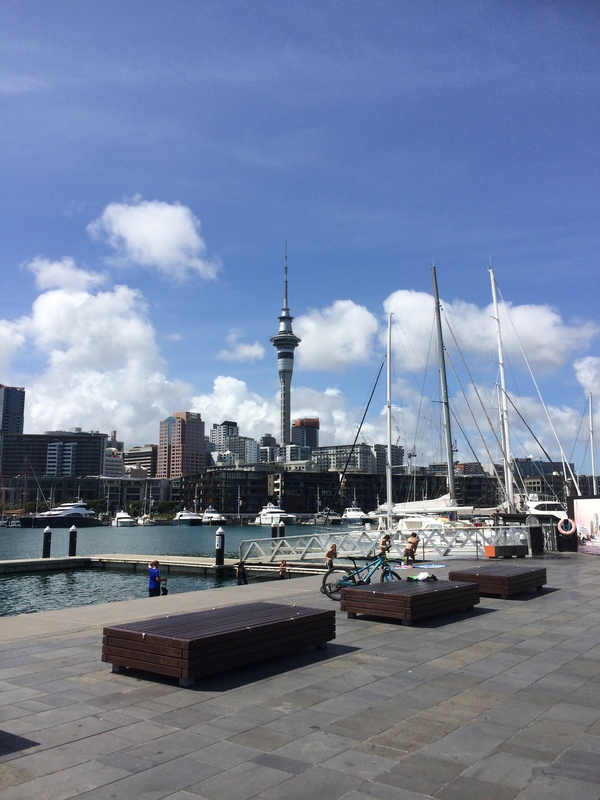 It was a lovely sunny morning so we headed to the Wynyard Quarter, for a stroll, cool drink and to look at some of the yachts. We stopped for a cooling drink at one of the many cafés, and just wandered about, no particular aim in mind, which is such a lovely thing to do. Does this belong to Darth Vadar? We popped into the fish market, which is under going some renovations, but still fun to pop in and have a quick look at the day’s catch. We grabbed an early lunch at Chuffed, a great wee place if you are passing by for brunch, lunch or just coffee and cake. And then it was time to head to the airport, sit in the Koru lounge, and fly home to Wellington.